This is a first person look at a wide range of Pueblo, Hopi, Navajo, Zuñ, and Apache ceremonials in the late 1920s. This book is both an ethnographic document and a classic of Southwestern literature. 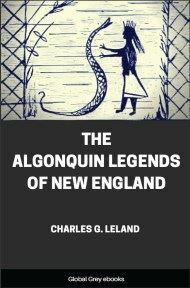 A well researched and sympathetic book, and remarkably free of attitudes patronizing or idealizing Native Americans. Sun-drenched and quiet stand the pueblos of New Mexico and Arizona, queerly withdrawn from the modern life about them. Usually built of the soil on which they stand, they appear to have grown out of it, and their color is the same. There are few trees in the villages, but they are surrounded by cultivated fields, and cottonwoods and willows grow along the watercourses. The houses huddle in solid blocks of adobe like slightly battered apartment houses. Irregular ladder-poles rise sharply here and there and protruding beams drop deep black shadows against the walls. Always there is a mission church, carrying the cross aloft on weather-worn adobe towers, and a government building whose machine-made angularities are an insult to the softly molded contours of the adobe. Drifting in and out are the people, brown-skinned and enigmatic, with sloe-black eyes, sliding walk, and flashes of vivid color in blanket, sash, or head-band. Who are they? Where do they come from? There are two ways of arriving at the answer to these questions. One is to ask the Indians themselves. The other is to consult the archæologist or the ethnologist. It is interesting how often Indian tradition agrees in essentials with the finds of scientific investigators. Isleta, for instance, has a tradition that its people came from the north, that they crossed the sea "where it is so narrow that a ten-year-old boy could throw a stone across it," and then, finding very little sun, that they came farther and farther south until they finally settled at Isleta. More than one archaeologist is satisfied that the Pueblo people did come from the north, crossing Bering Strait and drifting south. Taos, according to their tradition, came north, following a bird and making many villages, until they finally found the right location at the foot of their sacred Pueblo Peak and on both sides of their ever-running stream. This movement northward also has its scientific supporters, who think that these Indians came from Mexico, off shoots perhaps of the Aztec stock. All the Indians who now live in villages in New Mexico and Arizona are Pueblo people, which simply means town people. They were so called by the Spanish explorers who found them in the middle of the sixteenth century and were naturally struck by their towns and town organization. There are now about nine thousand Indians living in pueblos in New Mexico and Arizona. They form self-governing communities who support themselves by farming the lands they own communally, and who live a life of astonishing independence of thought, organization, and religious belief in the center of a modern American state. Today they speak five Indian languages in the New Mexico pueblos, and another in Arizona, where the Hopis cling to their rocky heights. They also speak Spanish, which is preached to them in their Catholic churches, and the young ones all speak English, which they learn in the government Indian schools and in which they trade with store-keepers and make interesting and inaccurate statements to tourists. Behind the Pueblo life as we see it was the life of the cliff dwellings and of the great communal villages. These habitations are being studied with meticulous care by archaeologists, who examine literally every foot-mark and finger-print for clues as to who these mysterious folk were and how they lived. Here, too, Indian tradition is a check and stimulus to scientific investigation. The Hopis have a legend, for instance, that their ancestors undertook to build a great temple, that they were struck with a confusion of tongues and had to leave it unfinished, and that they then moved south and established the present Hopi villages. Archaeologists, excavating at the Mesa Verde, uncovered there what they chose to call the Sun Temple. It was obviously a very important effort, probably for ceremonial purposes only, and it was left unfinished for obscure reasons. A Hopi Indian, visiting the place soon after the discovery of the Sun Temple, identified it absolutely and with great excitement as the very place of the legend. Archaeologists learn a great deal about prehistoric life from the Pueblos, all of whom have traditions connecting them with the inhabitants of the ruins which are found all over the southwest. The Santa Clara people, for instance, claim descent from the inhabitants of Puye, and all the Keres of the Rio Grande valley consider the Rito de los Frijoles as their ancestral home. 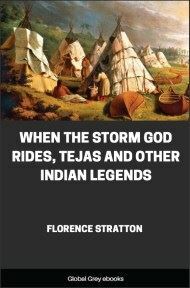 In these cases and in many others the medicine-men of the modern villages make ceremonial visits to the ancient home sites; and ancient shrines, such as that of the stone lions of Cochiti, are visited by all Indians. Ceremonial objects from the ruins always fill a modern Indian with reverent interest. Aniceto Suaso, working with Jeançon at Po-Shu, recognized and arranged in order certain bases for prayer-plumes and readily told the uses of a prehistoric spear-head, which he said would bring prowess in the hunt to anyone who had it. Also at Po-Shu, an Indian woman in child-birth tied into her girdle an ancient fetish found there, and reported that it helped her very much. This obstetrical fetish was in the shape of a large-stomached woman. Hunting-charms are usually in the form of animals, preferably lions or bears. In Zuñi we may still see the fetishes in ceremonial use. In other pueblos they are used only in secret ceremonies, though every modern Indian carries his medicine-bag, containing his personal fetish, bits of various metals, and the corn-pollen which is always the sacred symbol of life.